Don was born on February 12, 1933, in Morenci, AZ. He attended Madison Elementary and North Phoenix High School where he met and later married Barbara K. Nasser. He graduated from Arizona State College (now Arizona State University) where he served as vice president of the student body and was named one of 30 outstanding senior students. From 1956-1959 he served as Lieutenant in the United States Air Force, graduated fourth in his class from Navigation School and was honorably discharged as Captain. When he returned from service, he joined Knoell Homes in Tempe as a salesman. He soon became a partner, and served as Director of Sales and Marketing and Vice President for 26 years. It was Peggy and Frank Knoell who introduced Don and his wife Barbara to Nuestros Pequenos Hermanos (NPH, Spanish for “Our Little Brothers and Sisters”). In 1978, Barbara and Don traveled to NPH Mexico, which at the time was the only NPH home. There they met happy and outgoing children who had been rescued from poverty and given a safe home by NPH founder Fr. William B. Wasson. The children of NPH, called pequeños (Spanish for “little ones”) deeply touched the Liems and soon became their passion in life. Today, NPH has homes in nine countries and the Liems visited many of them to meet the children and evaluate the organization’s needs. Since they first became involved with NPH 40 years ago, Barbara and Don have tirelessly demonstrated their commitment to the children of NPH. They have done this through their own personal financial investments, as well as decades of volunteer service. 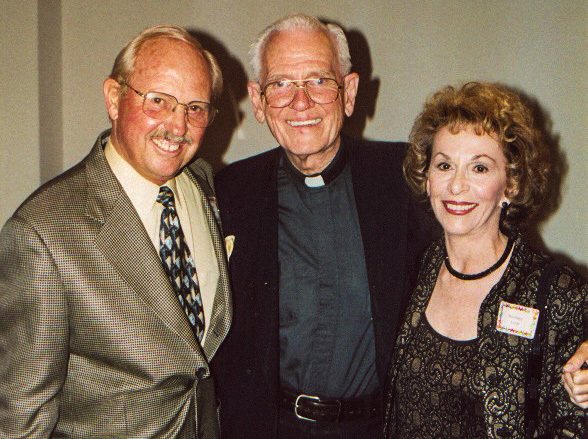 In the early 1990s, Don served as Executive Director of the Arizona office of Friends of the Orphans (now NPH USA Southwest Region) and Barbara was a volunteer staff person. Don subsequently served as President of the Board of Directors and then as a member of the Southwest Regional Board for many years. Barbara and Don have raised literally millions of dollars to benefit the children of NPH. They have sponsored numerous children and welcomed many into their home as students. The entire Liem family, which is currently four generations strong, also has supported NPH by making donations, sponsoring children, volunteering, and visiting the NPH homes. The Liem’s extended family includes numerous adult pequeños who grew up at NPH. Don passed away on July 29, 2018. Please join us in remembering Don and the Liem family in prayer.